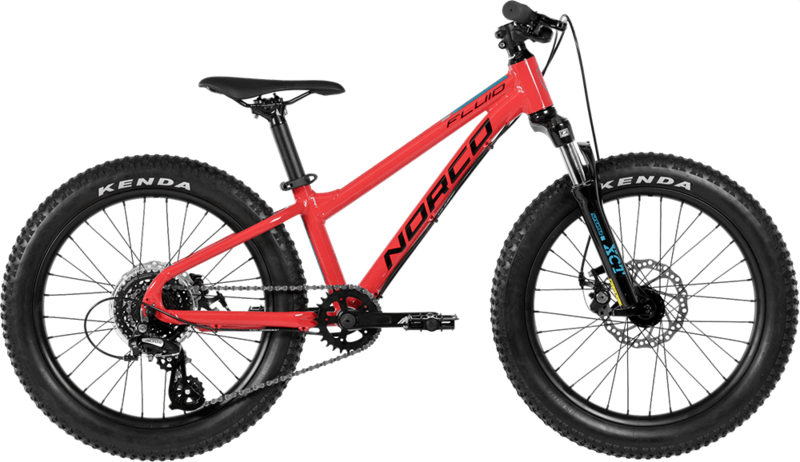 At RideHub, we provide our customers access to the best Norco All-Mountain and Enduro bikes. These bikes have been designed in British Columbia, Canada and tested on some of the toughest proving grounds in the world. When you are in British Columbia, rent a bike that was designed for the terrain you will be riding and you won’t regret it! 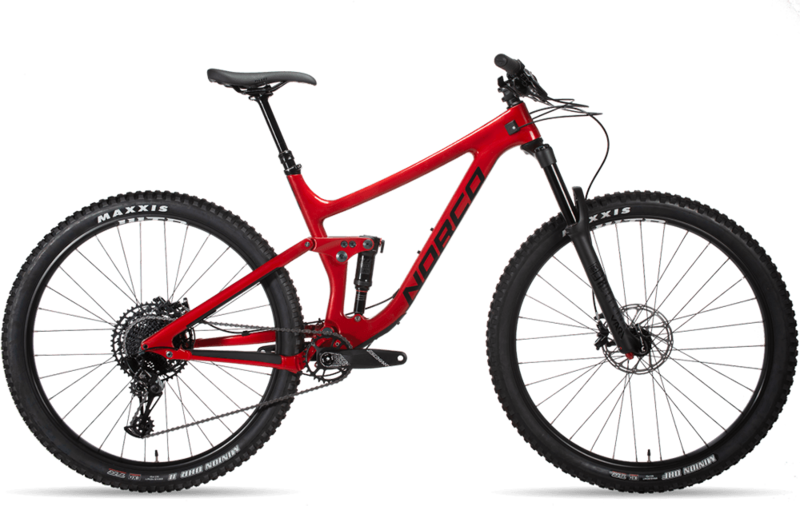 The Sight Carbon, available as either a 650b or 29er, is a versatile all-mountain bike featuring modern geometry and suspension kinematics for a fast, stable and playful ride on a wide range of terrain. Balanced climbing and descending capability combined with grin-inducing playfulness and nimble handling make the Sight Carbon the ideal accomplice for any aggressive all-mountain rider. 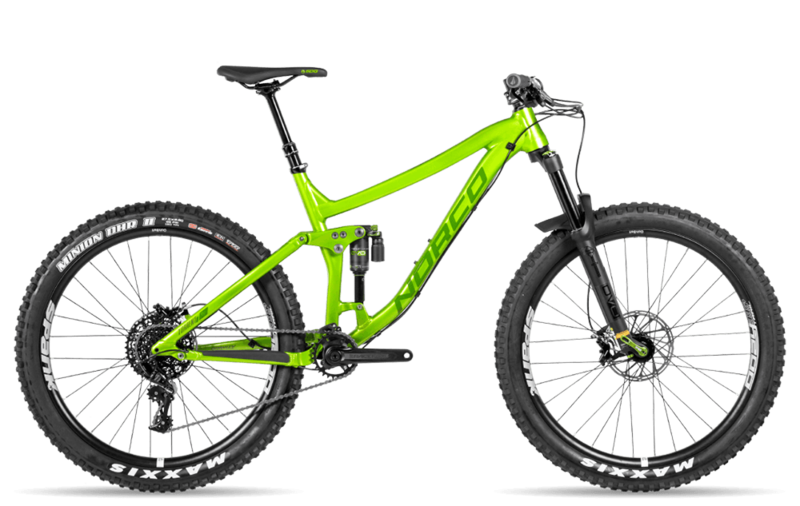 The Fluid FS brings all the trail capability of the Fluid series to smaller riders. With no-compromise geometry in an youth-sized frame, the Fluid FS 4.2 is optimized to get maximum fun out of very trail. Hydraulic disc brakes deliver all the modulation and stopping power they’ll need to handle the rougher stuff, while the trail-tuned A.R.T. suspension will help them take their riding to the next level. Is Bike Theft a problem in BC? Sadly, that is a big, fat YES. Leaving your bike unattended, even for a moment is inviting a convenience crime. While you may think chaining your bike to your vehicle or a pole is safe while you run into the brewery for a quick growler fill but these days thieves are so well equipped that any bike lock is a minor hassle to remove. The safest place for your bike is either under you or in your home (or hotel suite). When looking for a place to stay, MAKE SURE the location allows you to bring your bike INTO your room or has a PRIVATE LOCK-UP (avoid shared access Hotel lock ups). Theft is NOT COVERED by our optional damage insurance and you are responsible for THE ENTIRE COST OF THE BICYCLE (read: Mucho Dollars) if it is stolen. Can I book a Squamish bike rental for longer than 4 days? You bet your fanny pack you can! Our online booking tool will only allow you to book a mountain bike rental to a maximum of 4 days. For bike rentals that will exceed 4 days, please contact the office directly to book. Why are the brakes backwards? Can I take my Squamish rental bike to Whistler Bike Park? Yes, but we suggest you don’t. Whistler Bike Park is notorious for being very abrasive on equipment, in particular: Tires, Wheels & Brakes (and that is when you keep it rubber side down). Being able to take a chairlift to the trails maximizes the amount of abuse you can put a bike through. We don’t rent Long-Travel DH bikes and those bikes are particularly well suited for Bike Park use and many of the rental shops in Whistler have equipped the bike to deal with that abuse accordingly. We ask that you ride our bikes and treat them as if they were your own. Whistler is also a hot spot for theft and it’s so bad that many rental shops won’t allow you to keep your bike overnight. Riders taking our Rental Bikes to Whistler take full responsibility for any loss, theft, damage or excessive wear that occurs. If you are planning on staying in the corridor for a few days and stopping in Whistler to ride the bike park, let our staff know and we will try and hook you up with a rental deal in Whistler through our rental partners. Do you offer damage coverage? Absolutely and we recommend getting your rental covered. Our rental bike damage coverage is intended to protect you from the cost burden of fixing or replacing the most common items you are likely to damage while the rental bike is in your care. What size bike should I rent? 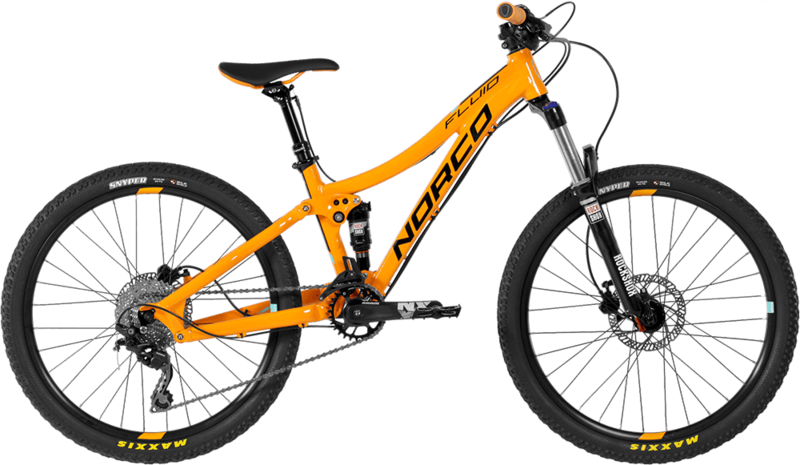 Our Norco Rental Bikes have a standard fit (we call it “Just Right”). While there is no hard and fast rule for what size you must use, you can use the chart below to estimate what size rental bike you should reserve. If you are on the limits of a particular size (6′ 1″ for example), choose the smaller size if you like a snappier feel in the corners, and choose the larger size if you want more stability at higher speeds. If you don’t know, ask us and we’ll give you some suggestions based on what trails you want to ride. Should I get a 27.5 (650b) or a 29er? Its a great question and realistically, we could spend hours here explaining the reasons for or against a particular wheel size. Our recommendation after having ridden every possible size is to try new things (because how do you know if you don’t try?). If you are a taller (5′ 11″ +) rider, we think you might benefit from trying a 29er if you haven’t before, but then again if you really like 27.5, you may be more comfortable on the smaller wheel. We are happy to provide suggestions if you contact the office. On our Squamish Rental Bikes, we provide flat bike pedals that are suitable for flat soled riding shoes (Shoe rental is *NOT* available). For more serious riders, it is recommended that you bring your own pedals and shoes as you will be more comfortable riding in them. 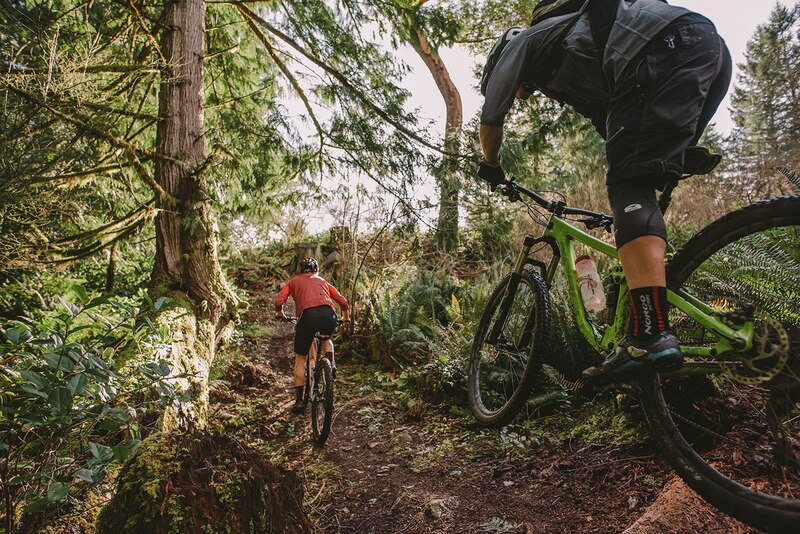 Given that some of the mountain bike trails are more aggressive than other riding areas, some clients prefer to ride with flat pedals in Squamish. A helmet rental is included for free as part of the bike rental. Helmets are mandatory for all participants in any cycling activity (this is a LAW in British Columbia). There are no exceptions to this rule. If you have your own CSA or CPSC rated bicycle helmet, you can bring it and wear it – or just use ours. Also available as an add-on to your bike rental are knee-pads and/or elbow pads. Knee pads and/or elbow pads are available to rent for $10/pair when added to a mountain bike rental or they can be purchased with any other additional armor from our good friends at Republic Bicycles in Brackendale. Most riders (including many of our mountain bike guides) will bring knee/shin protection and some will also bring elbow protection. If it helps your confidence and doesn’t hinder your endurance, consider adding armor to your bike rental. Gloves & protective eyewear are also recommended and can be purchased at Republic Bicycles. An understood & signed Liability Waiver is require from anyone who wishes to rent mountain bicycles with the Archer Adventure Company Inc. Please review our waiver here and if you have any questions regarding it, or the rights you are waiving by signing it, please contact us right away. You will be emailed a link to fill and sign your waiver digitally when you book your experience. Please follow the instructions in a timely manner to avoid delays on the day of your rental. We also require you to read, understand and sign our Equipment Rental Agreement. This agreement makes sure you understand your responsibilities while you are in possession of our rental bikes. You can review and fill out that form here.